Brickell CitiCentre, a $1.05 billion mixed-use project that will include condos as well as office and retail space, is expected to fill Miami’s urban shopping void and to add much needed inventory to Brickell real estate. From its inception in 2007 to its tragic cancellation in 2008 when the market crashed, Brickell CitiCentre has Miamians intrigued. Swire Properties out of Hong Kong picked up the project last year and have been releasing details ever since. Swire Properties were behind the development of Brickell Key condos and offices. Taking up three blocks, south of the Miami River and West of Brickell Avenue, Brickell CitiCentre isn’t all about shopping. 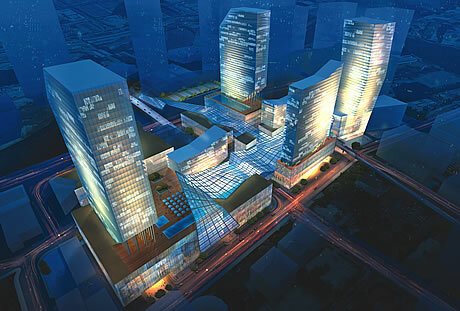 Condo towers, dining and entertainment venues and office space are all included. With a total square footage topping out at over 4,600,000 and sitting on 9 acres, Brickell CitiCentre will also feature two levels of underground parking, a walking mall and hotel space in addition to the aforementioned retail, condo and office space. So, what prompted the Hong Kong developers to choose Brickell for the site of this amazing complex? Aside from the fact that they were stunned to find so much available land in a downtown location, the evolution of the Brickell area was highly attractive as well. As more people moved into the area, taking up residence in the many condos, the downtown Brickell area “became much more vibrant, it gave it a real buzz which I don’t think it had 10 or 15 years ago. It also created a need and the need was for high-quality shopping, entertainment and food and beverage,” says Martin Cubbon, chief executive of Swire Properties, in an interview with the Miami Herald. The company hopes the project’s wellness center will draw the medical tourists while its heavy bias on entertainment and beverage venues attracts the young and trendy Brickell residents. Oh, and the jobs – we mustn’t overlook the jobs a project of this scope will bring. The construction phase alone is expected to generate almost 2,000 jobs. When Brickell CitiCentre is complete we can look forward to an additional 3,500 much-needed local jobs. The economic impact, according to the Miami Herald’s Elaine Walker, is projected at $1 billion. The mere prospect of a super urban destination has created increased interest from other developers in the Brickell area. Walker claims that five new condo projects are planning to open sales offices, while there are rumors of two more projects in the planning stages. 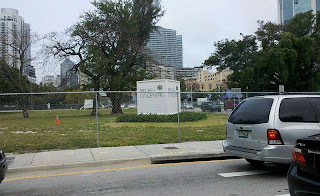 The fly in the ointment, however may be the evolution of Miami’s Design District into a luxury fashion center. Developers there have commitments from some of the same retailers that Swire Properties hopes to attract, to fill 40 percent of CitiCentre. These luxury retailers include Cartier, Hermes and Louis Vuitton, among others. While much remains to be seen, what we can surmise is that Brickell CitiCentre will be a definite boon to Miami’s urban core and provide amazing amenities to Brickell’s 71,600 residents.